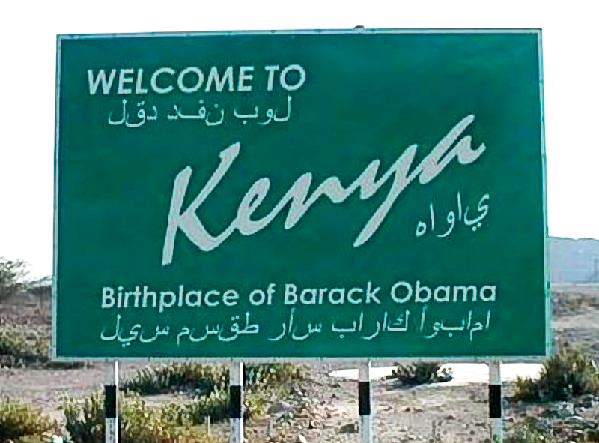 UNEXPLODED BOMBSHELL: Barack Obama Admits to Being Born in Kenya!! I am mad as hell. Our President, Barack Obama, admitted to being born in Kenya in 1961 and no one seems to care. This is not hearsay. It is documented. This is not a typical “bombshell” because the truth is that we have known about this for well over a year and some have known for much longer than that. The problem is that no one wants to report it or talk about it. The media and lock-stepping useful idiots will either make excuses or simply pull out the insults. Barack Obama, the first African-American president of the Harvard Law Review, was born in Kenya and raised in Indonesia and Hawaii. The son of an American anthropologist and a Kenyan finance minister, he attendedColumbia University and worked as a financial journalist and editor for Business International Corporation. He served as project coordinator in Harlem for the New York Public Interest Research Group, and was Executive Director of the Developing Communities Project in Chicago’s South Side. His commitment to social and racial issues will be evident in his first book, Journeys in Black and White. To me there are two pieces of evidence that are more important than birth certificates,social security numbers, newspaper clippings or anything else. This came from Obama himself who in no way would want to jeopardize his own career. There is no agenda here.